From time to time, the Inner Circle spotlights some of the new, fabulous Women in Retail Leadership Circle (WIRLC) members. 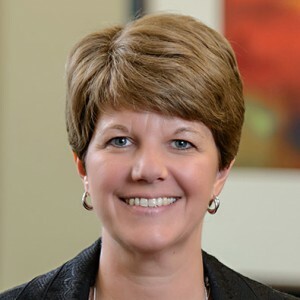 In today’s edition, we’re excited to feature one of our new associate members, Jami Dewolf, senior vice president and chief marketing officer at Alliance Data Retail Services. Here’s an email interview Jennifer DiPasquale, co-founder of WIRLC, conducted with Jami to help us all get to know her a little better. WIRLC: Have you always worked in retail marketing? Jami Dewolf: First and foremost, my career has always been about great brands and customer engagement. Immediately preceding my time at Alliance Data, I spent 16 years with L Brands and Victoria’s Secret. Before that, there were stints with Frito Lay, Pepsi and Nabisco. The way Alliance Data’s card services business approaches marketing and loyalty through branded credit was a tight connection and puts to full use my customer loyalty, brand and retail experience. WIRLC: Who has influenced you the most in your career … in life? JD: I’ve been blessed over the years to cross paths with great mentors, and I consider my father to be my first and most powerful professional influence. Uniformly, they all led by example and knew how to deliver success utilizing their skills and through people engagement. They asked me great questions, leading me to answers without providing them, and taught me to be a continual learner and to value individuals for the uniqueness they bring to the team. However, my primary life influences and “north stars” have always been my family and my faith. In their own ways, each has taught me lessons of compassion, setting priorities and maximizing potential. I haven’t always succeeded, but I’ve always tried my very best and tried to use my gifts for good. I remain mindful that everyone has a story and gifts of their own, and that it’s incumbent upon me to balance my priorities — spiritual, personal and professional. WIRLC: What are some of the retail trends you’re hearing about from your customers? JD: Anecdotally, the challenge we hear repeated over and over is how to effectively eliminate friction from the purchasing journey. Customers are on every manner of device and being pulled in myriad directions. Providing a seamless experience will be the savior for some brands and the inability to understand this connectivity will be the downfall of others. One “trend” I see is retailers finally perceiving former buzzwords like big data and even mobile engagement as business critical and not as fanciful flavors of the month. Brands are really starting to put resources and effort into delivering moments that matter through customers’ preferred channels and are extracting value and insights out of the vast amounts of available data. WIRLC: If you could give one piece of advice you’ve learned the hard way, what would it be? JD: When job seeking, candidates focus on roles and responsibilities, salary, company performance and the like, but to me the one non-negotiable should be finding an organization that has a culture that aligns with your values. WIRLC: Tell me a little about your personal life. How do you relax? Have fun? JD: I’m married and have a 15-year-old daughter who is awesome, not that I’m biased, and we have a lot of fun together. My great joys in life surround watching her swim and run track, spending time at our lake house boating and hosting family gatherings. I read and recently took up running nine months ago. I enjoy training with a “Run for God” group at church and I’m proud to say I completed my first quarter marathon in April.